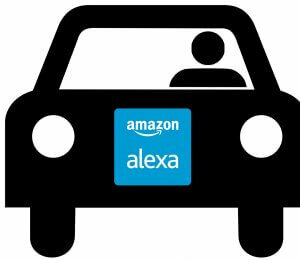 In this post, I’ll show you an example of services that Amazon Alexa can offer in the cars, as we start to see its integration by many automakers in their new vehicles. Alexa is a vocal assistant released by Amazon in 2014, that lets 3rd parties create new applications based on voice interactions, so the user can do everything in hands-free mode, this sounds good for drivers to keep eyes on the road. The aim here is not to create a final product, but only to see how easy and efficient this kind of new voice platforms are. So I’ll simplify the data and the behavior as much as possible, the creation is supposed to take less than two hours. The client wants to find dealers of Automaker in a UK city. Here is a demo of the result, I can ask for a dealer with and without city name. This demo is based on my previous project AlexaGUI. Intent is the user wants to say. Slot is the data that may be in user’s intent. I create two intents, one when the user will ask to find a dealer, and one when he will ask to find a dealer in a city. Custom Slot Types: I insert the names of my slot LIST_OF_CITIES with the 5 above cities. 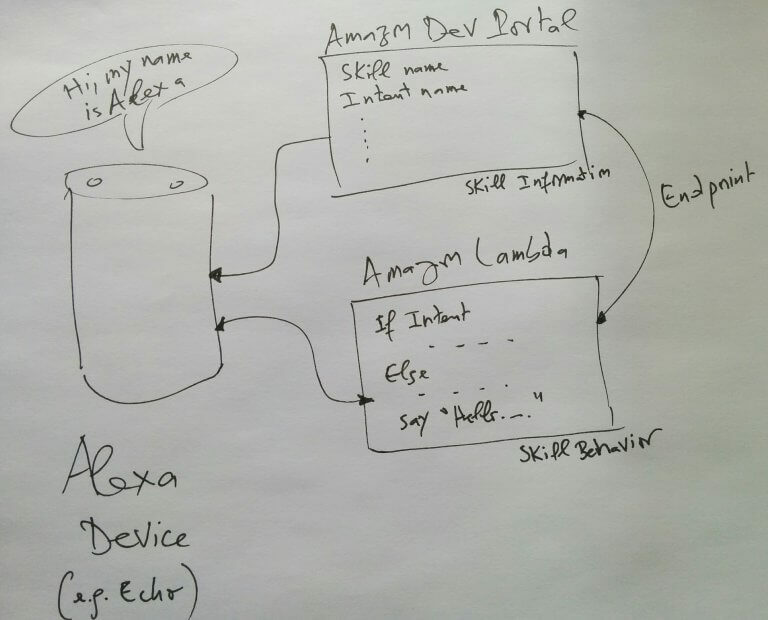 Endpoint: This is the link between Skill Information and Skill Behavior, in my case I will host my behavior in Amazon Web Services (AWS), more precisely as Lambda Function since it’s free and well prepared for Alexa integration. Copy/past it back in Skill Information. At this level the skill is created, I will do now the skill behavior. The skill behavior is done in Lambda function, for the two intents. You can find some examples here: Amazon Skills Examples. Chemistry Flash Cards example is good for my skill, I had just to modify the invocations and Alexa responses. 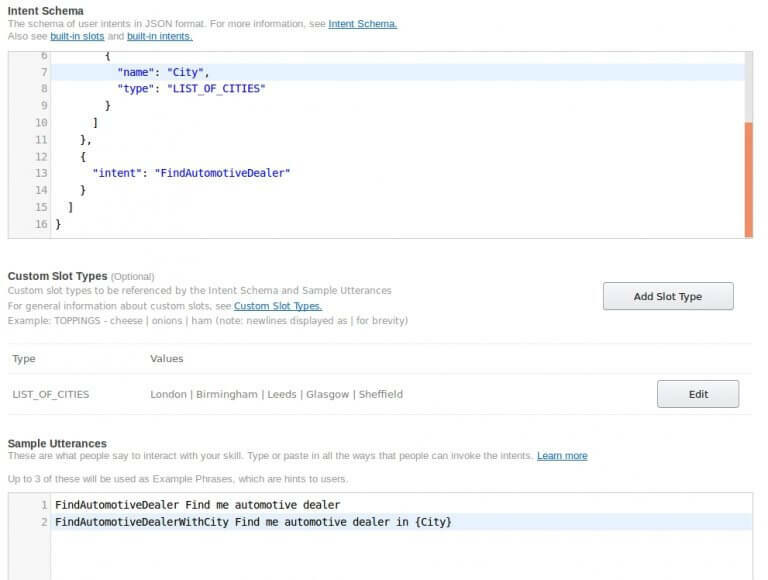 It is easy to create use-cases with Alexa Skill Kit. Alexa interactions are faster than hand search. No speech recognition knowledge is needed.